Hwayda Kater is a Canadian entrepreneur, author, and business coach. 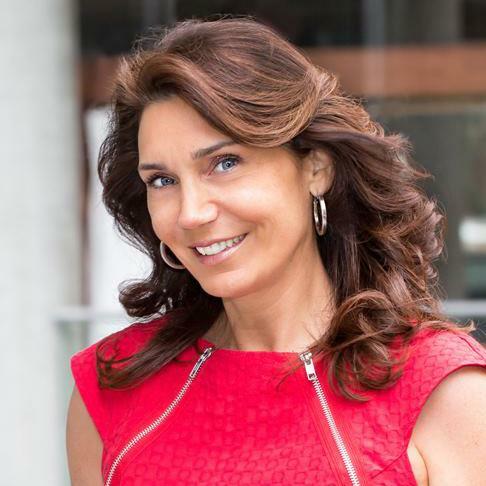 After spending over 20 years in the corporate world helping companies build big brands and sell millions of dollars in products and services, she now focuses her time on providing business and marketing consulting services to numerous clients from small startups to large marketing departments of leading organizations. Her main passion is helping thousands take their career destiny into their own hands by making the leap from employee status to successful business owners. During her corporate career for leading IT consulting and software companies and now as managing director of her own digital media and consulting firm, Hwayda has seen hundreds of resumes come through her desk from many highly skilled candidates that lacked the knowledge of how to navigate the new job market, stand out from the crowd and demand what they’re truly worth. In her book “Pajama Paydays: How To Make The Internet Work For You” she has set out to outline the ins and outs of the new online job market and internet business arena. The book covers the various online income and business models and helps the reader assess their lifestyle and income needs, then map out a customized online income blueprint that addresses their current circumstances, personality type, skill sets and interests—something most training and business systems fail to take into consideration. To connect with Hwayda, visit www.hwayda.com. Super excited to be named a finalist in the 2018 Reader’s Favorite Book Awards under the “Non-fiction – Business/Finance”. If you don’t have your copy yet, time to get one!